If you're the person who favours the cheeseboard over the cake option for dessert, you'll love this new 'Easter Egg'. 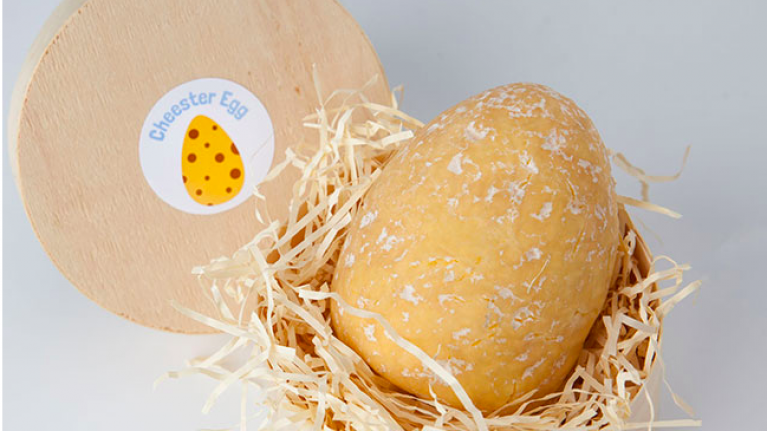 The Cheester Egg is made entirely from cheese (independent artisan company Wildes cheese FYI), 260g to be precise, and it retails at £14.95 (about €17). Described as a "hard, slightly crumbly cheese with a creamy texture, it has a deliciously sharp flavour cutting through" - perfect for anyone over chocolate eggs (not us anyway). It's the brainchild of Annem Hobson, a food blogger (check her out at So Wrong It's Nom) who clearly knows her cheese having previously created a cheese advent calendar. The cheesy treat has proved so popular that it has sold out but according to the website, stocks will be replenished this Saturday.